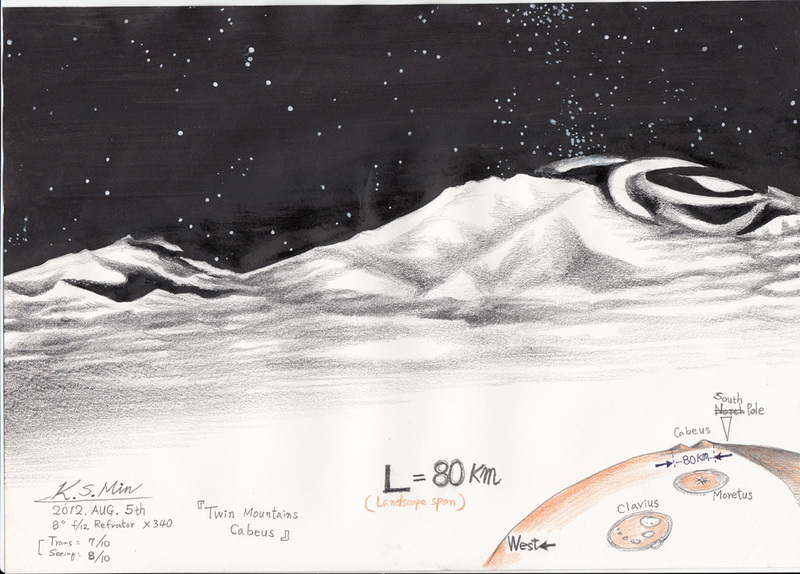 Yesterday, I observed / sketched the two mountains that seems to be the central peaks in the bottom of Cabeus or environs on the soutern lunar horizon. When the moon approaches near full lunar phase, some mountains , peaks are always seen very prominently on the southern lunar limb . white paper , graphite pencil, ink . What an impressive view!!! Excellent and detailed sketch. Very nice K.S. I like this one. It has a fine look. Wow! Have you been there?